It’s been a busy week in the garden, with lots of harvesting and seconding plantings going in. The summer squash are finally coming on strong, and we have to check on them every day to make sure we pick them before they get too big. Even with constant diligence, some of them slip by and get huge! Those are the ones that I like to shred for breads or desserts. It’s amazing what you can do with zucchini! 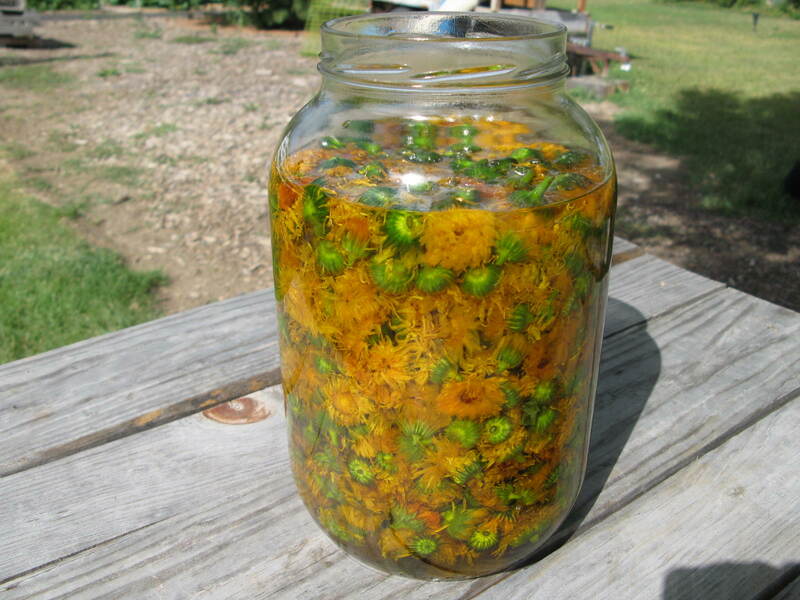 I havested some of my favorite herbs this week to make herbal tinctures and oil macerations. Bees love the flowers, so I always have it growing near the garden. 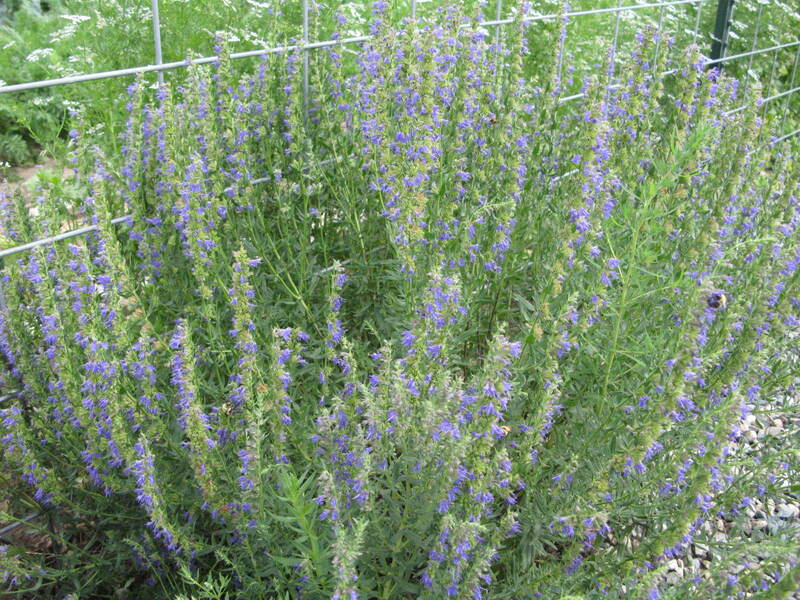 The fresh leaves and flowers are stripped from the stem and infused in Everclear to make a tincture for respiratory challenges. The herb is my go to for asthma, bronchitis, colds and anything affecting the lungs. Because it is good for inflammation, I use it in my pain balms and foot creams. We harvested some beautiful big cabbage for you this week and there will also be a small amount of broccoli…not allot, but enough for a stir fry. I am not happy with the the yield, but because it became so hot all at once it affected the production in a negative way. I just planted a second crop and it will hopefully germinate well so that there will be a late fall harvest. Radishes are planted every few weeks, too, for a continuing supply. Your share will also include some beautiful oakleaf lettuce, sweet onion, radishes, summer squash and fresh herbs. Have you ever cooked radishes? If you are like me, we were taught to eat them raw, on a relish tray or sliced into a salad. But, oh how wonderful they are cooked! I was amazed at the transformation in flavor and texture. This recipe is quick and delicious! …a gentle reminder…pick up times for you CSA share are Thursday from 4-6 PM. If you are unable to pick up your share, please let me know ahead of time. Last week I had 3 shares that we not picked up. I would not have had to harvest those shares and then give them away if I had been given a heads up. Please remember to bring you boxes, and you can recycle back to me any of the clam shells and extra packaging that are in your share. My little radish sprouts are rapidly growing into peppery bulbs– so colorful and flavorful–it’s typically one of the first vegetables harvested out of the garden. Of course, when one thinks of a radish, you may think of adding them to a salad or to a veggie plate. But imagine showing up to a backyard BBQ with a mason jar full of homemade pickled radishes! Slice up radishes and onion. Bring vinegar, peppercorns, sugar and salt to a boil. Place radishes, onion and bay leaf into a clean mason jar. Pour vinegar mixture over radishes. Refrigerate overnight.